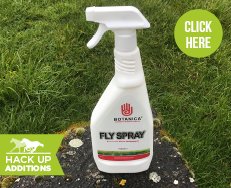 Combining a bespoke supplment with the powerful Botanica Fly Spray is a great summer solution. An insects worst nightmare, all natural spray with a unique formula, plant based, free from toxins, chemicals, lanolin's and parabens. Keeping your animals protected for longer.